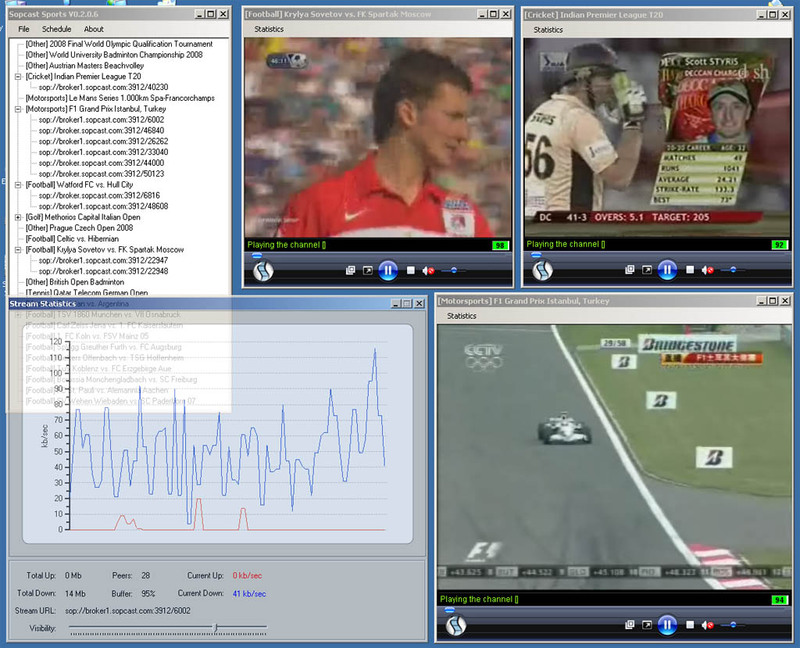 Sopcast Sports is a sopcast GUI tailored to watching live sport events using the sopcast protocol. Using game data supplied by myp2p.eu. Live sporting events are presented in an easy to use interface written in c# using the .net framework. Sopcast sports requires the latest version of the official sopcast client to be installed. This software is free and can be downloaded from the sopcast homepage. “We have developed a set of specialized Maya-tools targeted at reducing the amount of tedious work associated with the setup process of high quality, animatable characters. 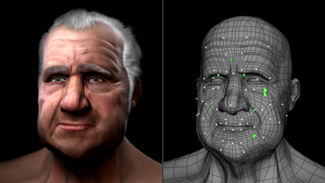 The Adaptable Facial Setup is capable of driving any humanoid geometry, drawing from an extensive, FACS-based library of facial movement components. Check out the video below to see whats possible with this tool. ARToolkit is an excellent starting point for developing Augmented Reality applications. The demo applications are impressive right out of the box. You can download the toolkit from the ARToolkit homepage. 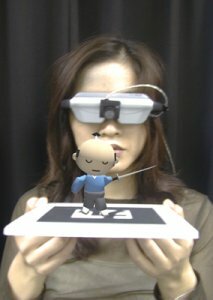 ARToolKit is a software library for building Augmented Reality (AR) applications. These are applications that involve the overlay of virtual imagery on the real world. For example, in the image to the right a three-dimensional virtual character appears standing on a real card. It can be seen by the user in the head set display they are wearing. When the user moves the card, the virtual character moves with it and appears attached to the real object. Another useful tool for use in conjunction with ARToolkit is the ARGUI interface. Check out Lief Oppermanns page for more information and detailed install instructions (German). I managed to get myself banned form the hotel wireless network last night for trying to use bittorrent. Mac Makeup provided a suitable way of spoofing my mac address so I’m back online now. I recommend this software to anyone who need to get around a mac based ban. Totally hastle free and I was back online within minutes. You can download Mac Makeup from here. Originally a system for merging range data from 3D Scanners. I modified this software and hijacked its ICP algorithms for use in a 3D face recognition system. An excellent bit of software with a highly customisable interface and a powerful scripting language. An excellent and fully featured computer vision library. OpenCV (Open Source Computer Vision) is a library of programming functions mainly aimed at real time computer vision. 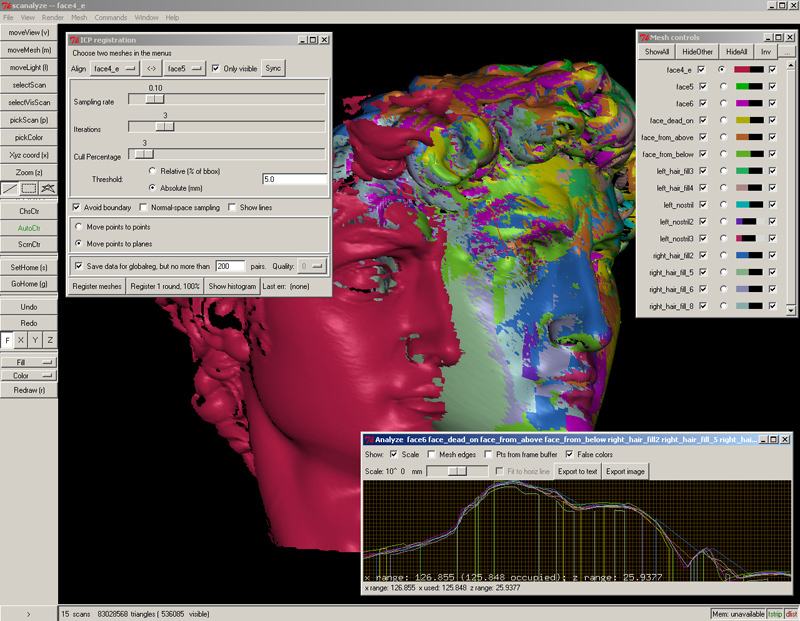 Example applications of the OpenCV library are Human-Computer Interaction (HCI); Object Identification, Segmentation and Recognition; Face Recognition; Gesture Recognition; Motion Tracking, Ego Motion, Motion Understanding; Structure From Motion (SFM); and Mobile Robotics. Xface is an open source toolkit implementing the MPEG-4 standard for facial animation. * Accepts MPEG-4 FAP files and SMIL-Agent scripts as input. * Supports muscle based deformation (for MPEG-4) and keyframe based animation using morph targets. * Muscle deformation methods/rules can be extended easily. * Blending of visemes (visual phonemes), emotions, expressions. * Head and eye movements (random and controlled). * Can use various TTS engines using the pluggable factory mechanism. * Control over TCP/IP. XfacePlayer can be controlled using any programming language thanks to our messaging system. * Save animation as video in avi format. You are currently browsing the archives for the Useful Software category.